Skin care and maintenance should be an integral part of your routine year-round. But after grey and dull winter months, we need to give our skin extra attention to restore the luminosity and radiance it is begging for. Here are the staples to look your best heading into spring. Sunscreen should be part of your daily skin care routine, especially heading into warmer months. Ultraviolet light exposure contributes to aging: lentigines (sun spots), erythema (redness) and telangiectasias (blood vessels). Look for a broad-band sunscreen with an SPF 30 or higher. Facial sunscreens tend to be lighter and more aesthetically appealing in texture, colour and residue. Texture is critical—if you don’t like it, you won’t wear it. Heavy sunscreens, while appropriate for other parts, can trigger acne and give the face a greasy appearance. Look for sunscreen lotions with silica for a mattifying effect; these are great for both men and women. Physical sunscreens containing zinc oxide and titanium dioxide are great alternatives, especially for sensitive skin. Sunscreens should be applied after your morning skin care regimen and just before makeup. Re-application is key when exposed to the sun for consecutive hours. Consider using powder sunscreen for re-application—this will keep you looking fresh throughout the day. 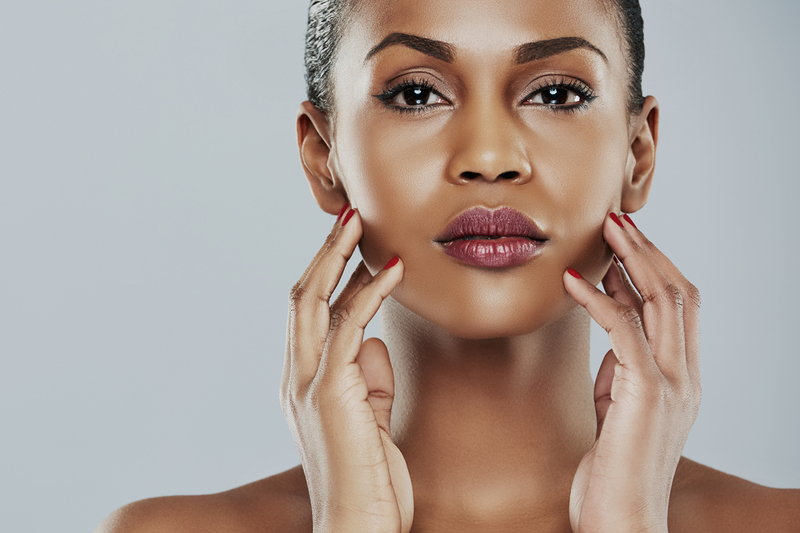 When approaching age 30, a skin care routine needs more than just sunscreen. Antioxidants are molecules that scavenge damaging free radicals triggered by daily oxidative stress from ultraviolet light, pollution, infra-red radiation, tobacco, and alcohol. Vitamin C has long been the antioxidant of choice. Clinical studies have shown effects in restoring skin luminosity, boosting collagen and improving hyperpigmentation. Retinol is a derivative of vitamin A that rejuvenates by increasing collagen production to smooth fine lines. Vitamin A derivatives (retinol, tretinoin, adapalene, tazarotene) are used to correct some of the damage from daily stressors. Preparations should contain at least 0.4 per cent retinol to optimize outcomes. New to the retinol game? Some patients need to start at lower strengths twice weekly to slowly build tolerance as their skin adapts. Cumulative sun damage has an enormous impact on facial attractiveness and aging. The changes brought on by sun damage, in addition to sallow winter skin, are best addressed with laser and light-based treatments. Intense pulsed light (IPL, Photofacial, Fotofacial, Photorejuvenation) has been a workhorse in dermatology since its approval by the FDA and Health Canada in the 1990s. This is a great, multi-target treatment that allows for improvement in skin discolouration, redness and collagen production. IPL is similar to a laser and has a range of light filters used to induce gentle healing of blood vessels, sun damage and age spots to even out skin tone. The face is the most commonly treated area but adjacent areas like the neck, chest, hands and arms should not be forgotten. Four to six monthly treatments are recommended for best results. Exercise caution when choosing your provider—some forms of pigmentation including melasma (pregnancy mask) may worsen. Light resurfacing treatments such as the Clear and Brilliant ® laser are the treatment of choice for patients looking to improve minor sun damage, texture and skin radiance. This non-ablative, fractionated resurfacing laser induces collagen production and gentle exfoliation through induction of microscopic treatment areas with little to no down time. Treatments are done monthly over four to six months to restore radiance and even your complexion. This is also a great maintenance option between more aggressive resurfacing treatments. Bonus: this laser is suitable for any skin tone. Now that you’ve got that glow, how do you maintain it? Daily skin care and sunscreen are essential year-round. Maintenance protocols with alternating IPL and Clear and Brilliant® laser treatments are great tools to keep feeling great about your skin.